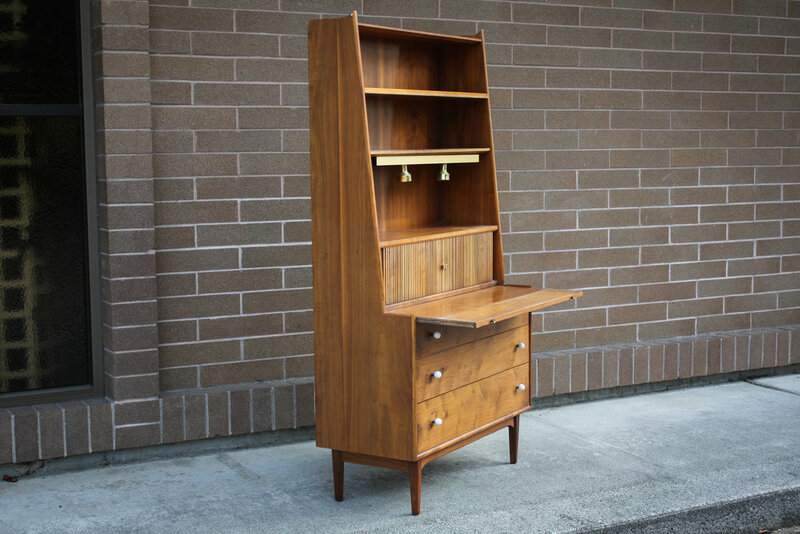 An awesome mid-century modern secretary by Kipp Stewart for Drexel as part of the "Declaration" series. 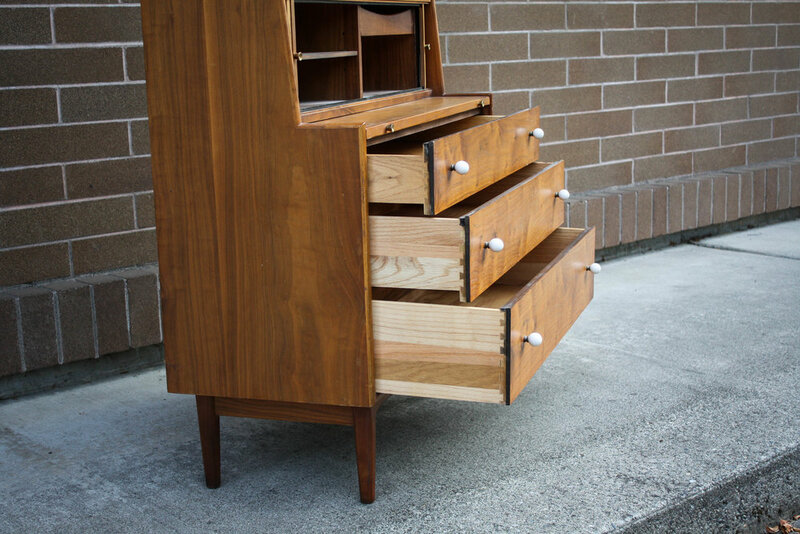 This fine piece features gorgeous walnut grain, tambour doors, a slide out secretary desk and three pull out drawers with signature white porcelain drawer pulls. Brass track lighting on the lower shelf can be removed if desired. Cord hole under the shelf for powering the lights, your computer, or other electronics. 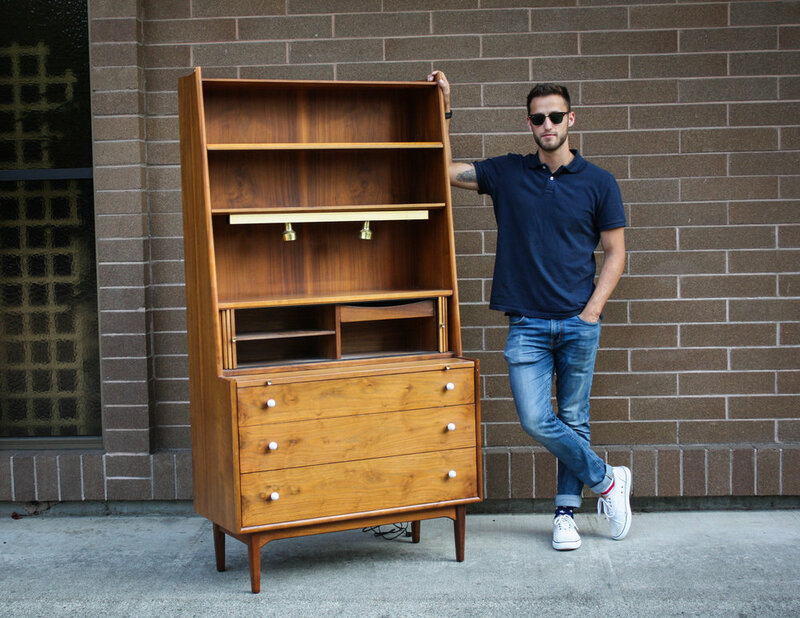 Good vintage condition with typical minor blemishes consistent with age and use for a vintage piece. Most noticeable, on the right side, where the secretary sat by a window, there is sun fading to the finish as noted in the last phot, there is also sun fading to the desktop. If you felt so inclined, you could add a little walnut stain to this section to color blend. Please look over each picture to see overall condition as that tells the story the best.